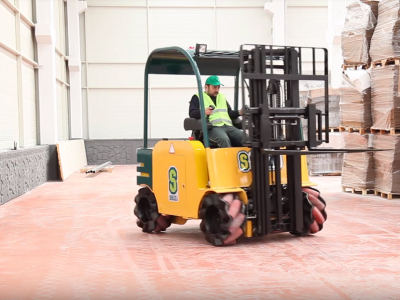 This forklift can run sideways or diagonally (without twisting) and rotates 360 degrees. 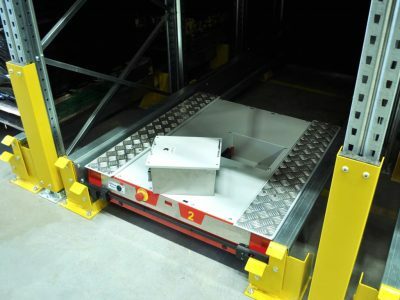 It can be used in warehouses, where the space is very limited. 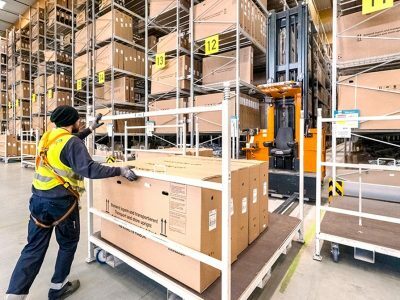 This construction was created by engineers from the Turkish company Okta Lift, which manufactures forklifts and multi-way trolleys for transport in warehouses. 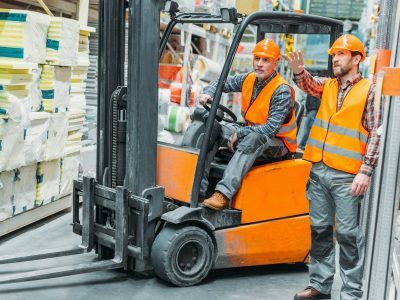 The Turkish trolley is able to drive differently than standard forklifts due to the special wheel design. These wheels on the perimeter have diagonally mounted rollers. It is this element of the construction and the drive that allows only two wheels to run. That’s what makes the trolley „move” sideways and diagonally. Such possibilities are especially useful when transporting long elements. The operator controls the machine using two joysticks. Okta Lift was established in 2016 as a government research and development project with the participation of Sekizli Machine and Crane Inc.